Q: You seem to be the â€˜all-weatherâ€™ man this year: whatever the conditions, whatever the tyres, in the end a podium is almost certain. Are you the ideal driver right now? 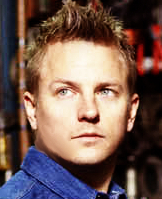 Kimi Raikkonen: Ha, I wish I was. Clearly you have to look at the conditions and cope with them - even though our car is not the best right now, we are able to adapt to situations pretty well. And, of course, I am always trying my best to deliver a good result. KR: Ah, look back at Malaysia. There I had some issues with the car, so no race is a walk in the park for me as you suggest. (laughs) Thatâ€™s how it goes. But for sure I always try to maximize the yield of points. Q: There were high expectations today that you would go out in the last two minutes of qualifying and show everybody the way. But you ended up in P9 - and will start from P8 due to Lewis Hamiltonâ€™s gearbox penalty. Was there no more to come? KR: No, we havenâ€™t got the speed for one lap. Hopefully the race will show a different picture. Q: Is that what your team principal Eric Boullier calls your finishing qualities? KR: Could be. One lap is one thing, but to do 57 laps and stay at the top of your game is quite another. KR: I have no contract for next year - that much is true. But further than that, I donâ€™t want to discuss the matter. I want to do well this season and everything else will fall into place. Q: What would convince you to stay at Lotus? What would make you move on? And do you want to stay in F1 racing in the first place? KR: I havenâ€™t thought about all that yet - I feel good here. But yes, there are many things that are undecided and there is still a long way to go this season, so letâ€™s see how things unfold. We will see pretty significant changes when teams switch to their 2014 car development - and then it will be interesting to see what is going on. Q: Would you be a better team mate for Sebastian Vettel than Mark Webber? Could it be that friendship is overrated in this matter? KR: I donâ€™t know. These are not the things that I think about right now. Q: Would you like to have a more challenging team mate? Or is there something in being the de facto number-one driver? KR: Look, sometimes he (Romain Grosjean) has a difficult weekend and sometimes I do. In the end it does not matter for me as I donâ€™t really need somebody who is pushing me. I do my own thing. Q: You were a surprising third in last yearâ€™s championship. Now you are an arguably even more surprising second in the standings. Are you surprised yourself - or is this in line with your personal expectations? KR: Sure, itâ€™s interesting to beat your own benchmark. The only plan I have in my head regarding that is doing better - as to how much better, letâ€™s see. I am pretty relaxed about all these self-appointed point counters and soothsayers. Just letâ€™s wait and see. Q: Money makes the world go round and that includes development and development speed. Could that correlation make you nervous this season? KR: True, we have less money than some of the other teams, but I am not sure if that will really hurt us or not. Last year we were able to do pretty well, so why not this again season? Q: Malaysia was a bit of a drop in form for you. Why did it happen there and could it be symptomatic of conditions like that - ie higher temperatures compared those in Melbourne and Shanghai? KR: Nothing to do with conditions. We had some issues with the car, thatâ€™s all. Conditions are overrated. Q: Whatâ€™s the best part of your car? KR: I would say that we are more or less okay everywhere. We donâ€™t have really bad points anywhere, but also not really good points. The car works okay. Q: So letâ€™s try this: whatâ€™s the best part of your life right now? KR: I have a lot good things to do and I donâ€™t complain. My life is okay. KR: We cannot change them right now so you better get used to it. Lamenting over things never helps. Q: Last year here you were on the podium. What is likelihood of a repeat tomorrow? KR: We are lacking a bit of pace, but in a long race with strategy involved anything can happen. Sure the starting position is not ideal. Q: Strategy will again play a major role. Will we see daredevils trying to run a two stopper, or will three stops be the way to go? KR: I think three stops will do it. Q: So you will be running on three stops? How can you be the 1st in fp and Fall that down in QP`? Yea is it Lotus or Kimi ? Kimi was telling the truth on Friday that he's not happy with the car even he was fastest on FP2, but nobody believed him. He always says FP time doesn't meant anything, and this is exactly that. Look at the fastest time he set on FP2 1m34.154s was very far from the Pole lap Rosberg set 1m32.330s. Look at Kimi's best time in Q2 (1m33.146s) and Q3 (1m33.327s), that's why he said it's the maximum he could do, Lotus just does not have the one lap pace. I think it's almost 1 second gap to the front runners. Just hope that Kimi can do his magic during the race. But if you look in general the E21 is very difficult to setup and drive. The car can be very fast, but it isn't easy to get to that point. In qualifying so far Lotus has just not been fast. China is starting to look more like an anomaly then anything else. And it was the race where conditions where hotter then expected. Yesterday in qualifying it was overclouded and then what you would normally expect. As soon as the track conditions changes the car setup is heavily effected. Seems to be a hotter day here in Bahrain. Already track temp of 40C, air temp of 29C before 10am. Well deffo not his best qualy performance. I am sure he could have been 1-2 tenth faster with that car which would have put him lots of place highter up at the grid. But it is as it is. I really hope that Kimi survives the start without any offs or crashes. I think FI will hold him up as they are also very kind to their tyres and have a good speed. Grosjean is in a better positon than Kimi (clean track at the start and fresher tyres). But letÂ´s wait and see. My fingers are crossed for Nico though I doubt that he can keep Alonso (and maybe Massa) behind him. I am also worried about the start, Kimi has already suffered with two broken front wings in 4 races. On top of that, or rather the worst part is that he is staring from the dirty side again. To me it seems more difficult then last year to make up places. I am expecting a frustrating race, yesterday Lotus's top speeds where not that high. So it might be difficult to pass others again. There is little positive to look forward to, Grosjean could be in a very good position with all of those new tyres. Kimi's chances for doing well isn't great, so I am hoping that Nico Rosberg could do well. That would be nice for a change. Buemi to replace Webber for race start after Webber gets kidnapped. News just in, is that Red Bull's reserve driver Sebastien Buemi is to race for the team after Mark Webber got kidnapped this morning. "This is a great oppurtunity for Seb-uemi, it's a shame for Mark, but um...we went into the Motorhome and he couldn't be found. There was a note lying there asking from the kidnappers asking for Vettel's front wing and Â£20million in Red Bull drinks." "Well, it's just one big problem less from us now that Mark's out of the way, demanding a front wing from perfect Seb is ridiculous, and also a lifetime supply of Red Bull." There are rumours that it was Horner himself that has planned the kidnap. I'm very happy with this result. The only thing better than this is Kimi wining, but nobody could catch Vettel. Well, maybe Alonso, but he was unlucky again. Very glad Romain is finally helping in the Constructors championship, so Lotus is back in second place. I know it will be harder later on, so Kimi and Lutus need as many points as they can get in this first half of the season.